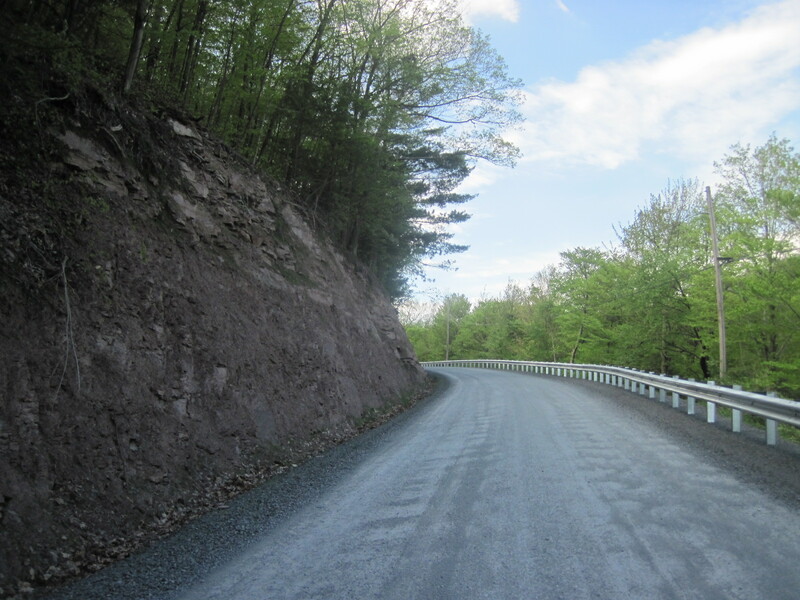 This project involved the roadway reconstruction of Mountain Avenue for approximately 3,960 ft. 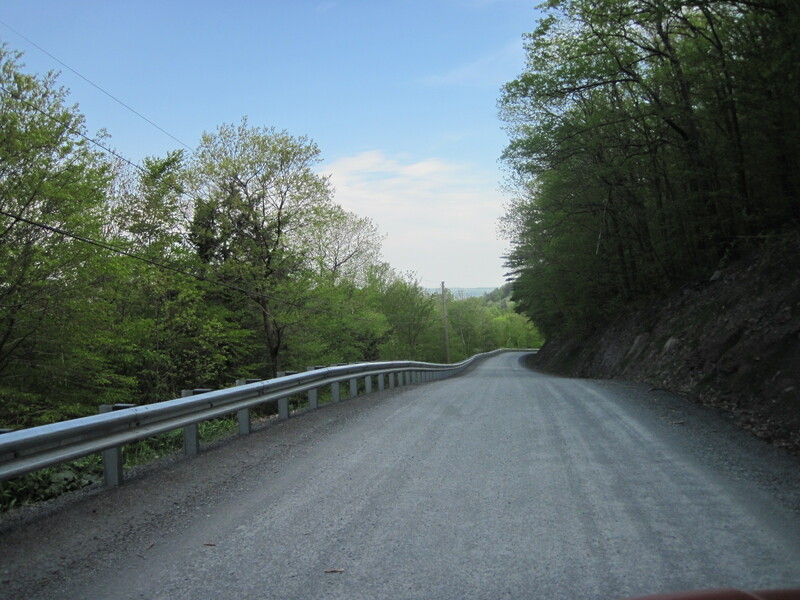 The roadway was narrow with numerous chocking points due to protruding rock ledge and steep embankment. The downhill bank was eroding at pipe outlets and runoff points. The roadside ditch was either non-existent or too small throughout. Undersized steel cross pipes were replaced with larger 18″ HDPE pipes and added at needed points. 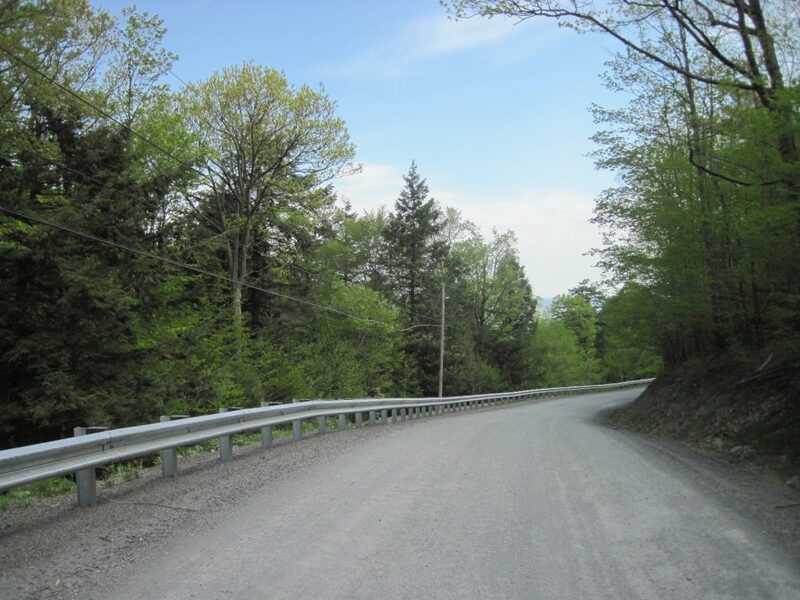 The method of roadway reconstruction included excavating ±8′ width/depth of existing uphill embankment and placing it on the downhill side of the roadway and excavating a 3′ wide roadside ditch. 8″ of new 2A subbase was placed, graded and well-compacted. In addition to the reconstruction of the existing roadway, strong-post guiderail was placed along the entire project length for safety and large R-8 and R-6 riprap was placed at the cross pipe outfalls on the embankment and dry-laid native rock was placed at inlet headwalls to provide stabilization and erosion control. Topsoil, fertilizer, seeding and mulch was placed at all disturbed embankment areas for erosion control. The project was constructed by Lycoming Supply, Inc. of Williamsport, PA.